All services are held in the chapel of the Lutheran Church of the Good Shepherd. Holy Communion celebrated at all services. At The Good Shepherd Community, spiritual services and our chapel are a key component of our mission. We are founded on faith, and fully understand the importance of providing residents and their families with the opportunity to live that faith. On the campus and connected to the main building, our chapel serves as the gathering place for various Christian services. Our services include prayer, worship, music, and powerful messages tailored to offer practical and peaceful truth to each one of them. All residents are invited to attend at the chapel, and take advantage of all the other spiritual services we provide. The Lutheran Church of the Good Shepherd is an essential component needed in fulfilling our spiritual mission. Our Pastor/Chaplain ministers to the church body as well as residents and tenants. These spiritual services include worship, Bible studies, individual counseling, and prayer visits. The Pastor/Chaplain is specially trained in long-term care needs and spiritual health for aging residents. Our own spiritual staff is also supplemented by clergy from the surrounding communities. These pastors and clergy who are invited are fully encouraged to minister to their members, as well as lead them in worship. 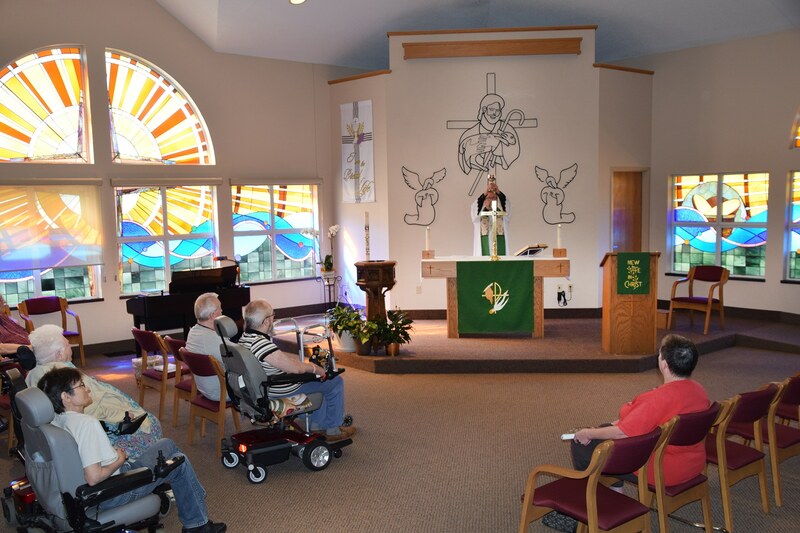 Currently, Lutheran, Catholic, and non-denominational worship services are held in our Chapel on a regular basis. 12/19/18 Sermon: Christ is Coming. Get Ready!